Jacqui Smith is reportedly "livid and shocked"
The Home Secretary is already under investigation by the parliamentary commissioner for standards over her use of the second homes allowance. BBC political correspondent, Gary O'Donoghue, said a source told him Ms Smith was "livid and shocked" when she found out about the two adult films. He said he was told Ms Smith had not been at home when they were viewed and said she had no intention of resigning over the matter. What can MPs claim for? Mr O'Donoghue said he was told Ms Smith had given her husband, who is also her parliamentary assistant, a "real ear-bashing". The bill was submitted last June as part of Ms Smith's expenses, the Sunday Express reported. The two films, which cost £5 each, were viewed on 6 and 8 April 2008. It was also said to include two viewings of the film Ocean's 13 - at £3.75 each - and an additional £3.50 to watch the film Surf's Up. The films were viewed at her constituency home in Redditch, Worcestershire. A Downing Street spokesman said Ms Smith had done the "right thing" by quickly rectifying her "inadvertent mistake". A spokesman said she was doing a great job as home secretary and would not let the expenses issue detract from her determination to protect the public. The Committee on Standards in Public Life has announced a wide-ranging review of MPs' pay and allowances, starting later this year. It came after Prime Minister Gordon Brown wrote to the committee calling for a full review into "outside interests" and second jobs. 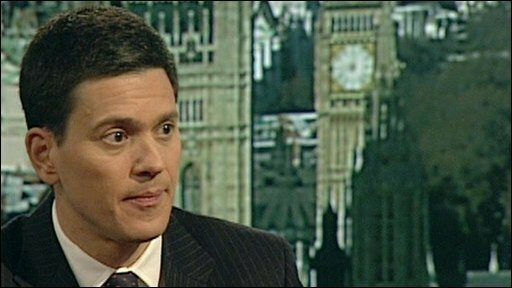 Foreign Secretary David Miliband told the BBC's Andrew Marr show: "Jacqui Smith is doing an outstanding job as Home Secretary... what I know is that the system has to be much, much clearer than it was in the past. 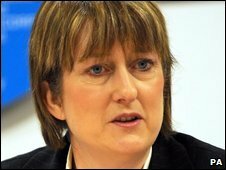 Jacqui Smith said in a statement: "I'm sorry that in claiming for my internet connection, I mistakenly claimed for a television package alongside it. Last month Ms Smith was criticised for claiming taxpayer-funded allowances for a second home while living with her sister. But she insisted she had "fully abided" by the rules because she had designated her sibling's house as her "main" residence. That allowed her to claim payments on the Redditch constituency home she shares with her husband and children. Conservative MP Mark Field told the BBC: "I'm obviously glad Jacqui Smith has decided to act quickly and repay, I'd also like her to act as quickly and repay the second home allowances that she's also taken. "She says it's all within the rules, which I'm sure is right... but the reality is it's not within the spirit of the rules. "If she doesn't recognise that I think she's really a bit too stupid to be Home Secretary." He added there were a number of Tory MPs also abusing the system, which he said undermined parliament's reputation. Meanwhile, parliament's standards commissioner John Lyon is investigating a complaint about Labour minister Tony McNulty's second home expenses. The work minister has claimed £60,000 since 2002 for the house in his Harrow constituency - 11 miles from the Commons - where his parents live. He has said he did not break any rules.